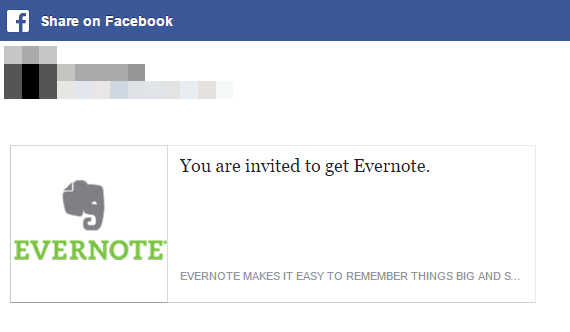 Evernote is a cross-platform, freemium app designed for note taking, organizing, and archiving. The app allows users to create a “note” which can be a piece of formatted text, a full webpage or webpage excerpt, a photograph, a voice memo, or a handwritten “ink” note. Notes can also have file attachments. 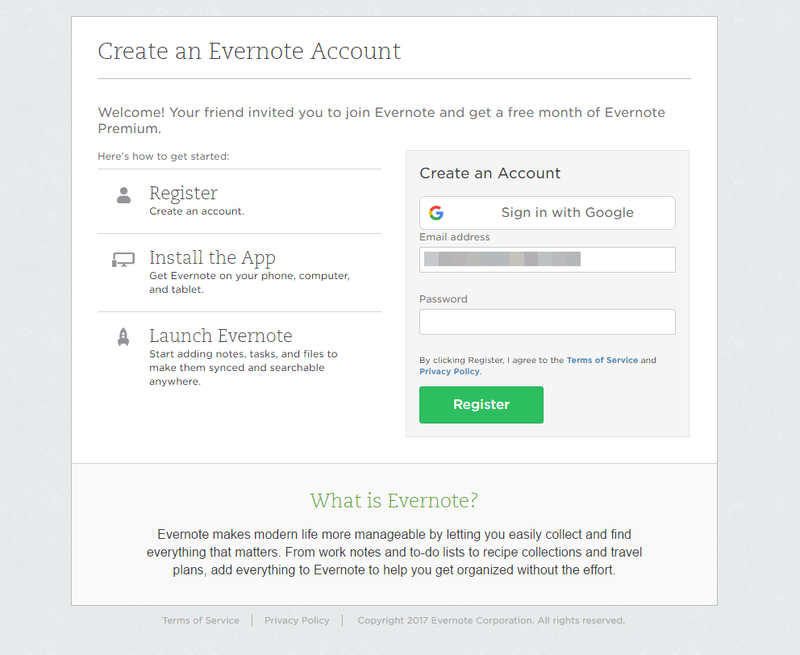 The program can be difficult to find as it’s not labeled as a referral program. 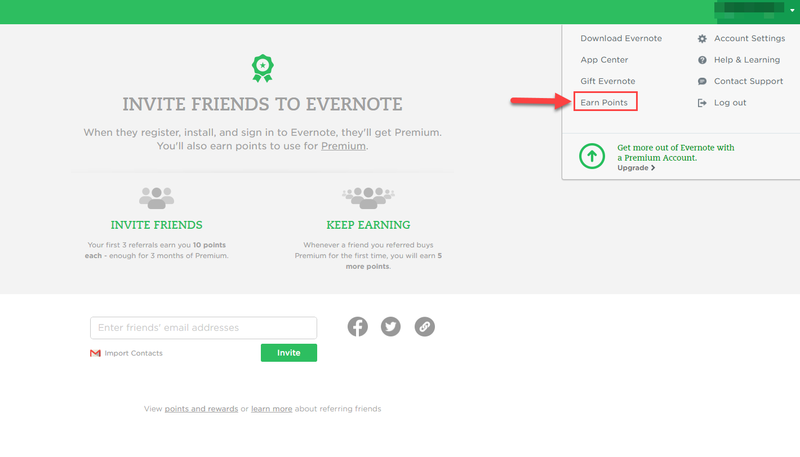 Instead, the user can see a link named ‘earn points’ from their user dashboard. Their program does allow the participant to earn points from one referral multiple times, however. 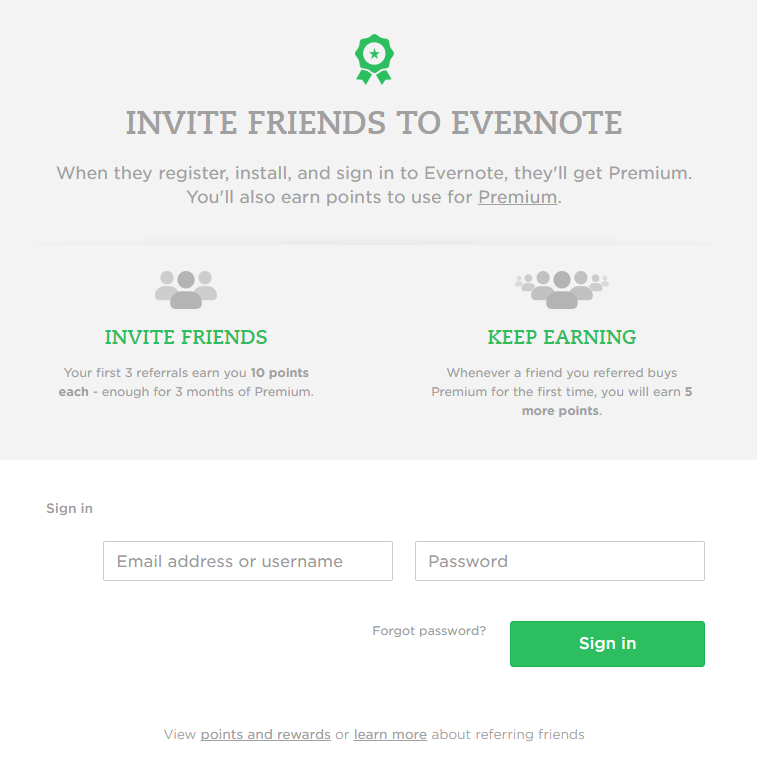 When they sign up, and again if the referral upgrades to premium, which is a pretty good deal for the participant. 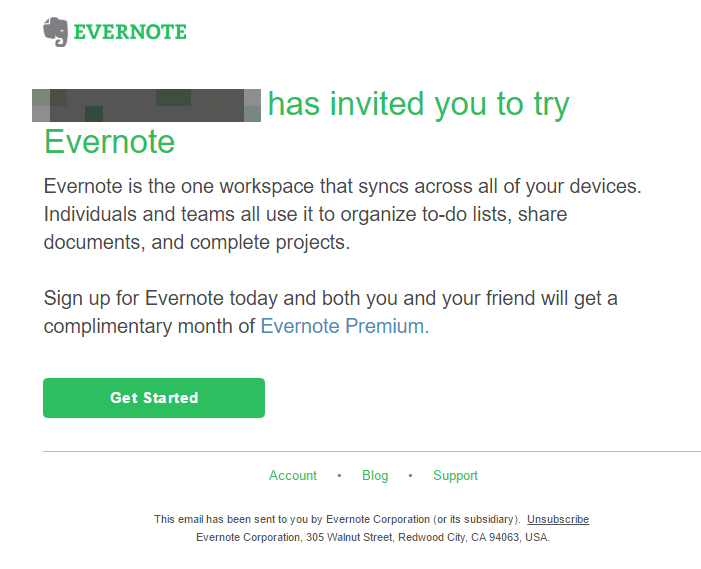 The program offers a nice double-sided reward, giving both parties access to Evernote Premium. Though access to Premium is limited by a month, participants can rack up more months by referring more people, or when their referrals sign up for Premium. Not too shabby.